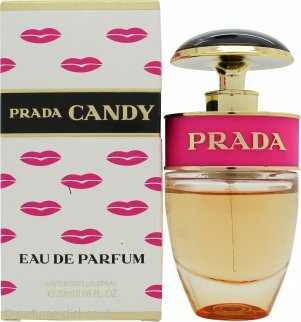 Prada Candy Kiss by Prada is an Oriental Vanilla fragrance for women. Prada Candy Kiss consists of soft sweet musk with hints of vanilla and orange blossom, a powdery fragrance that will instantly lift your mood and bring a smile to your face. The scent isn't too sweet but rather soft and gentle. Candy Kiss was launched in 2016.